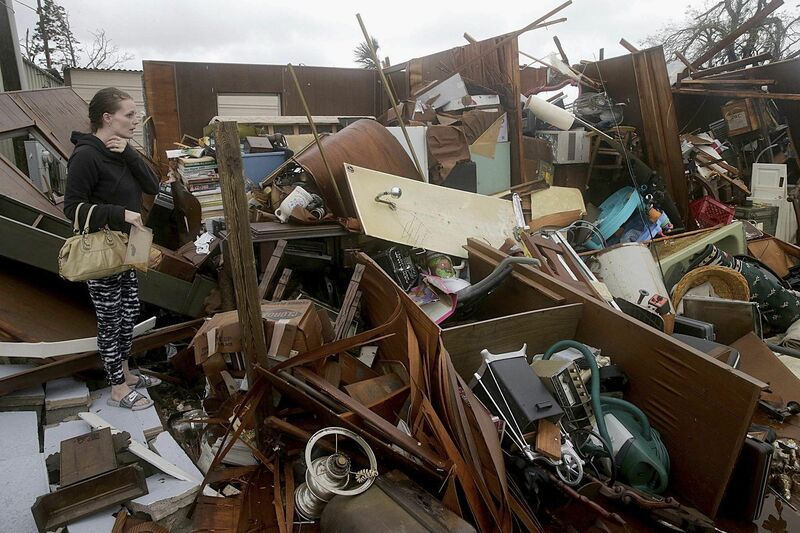 MIAMI: Tropical Storm Michael has sped off toward the Atlantic Ocean, but there will be nothing quick about Florida's recovery from the hurricane, where rows upon rows of homes have been smashed to pieces . The storm also has brought flash flooding to hurricane-weary parts of the Carolinas and Virginia . — Top winds: 155 mph (250 kph), strong enough to completely destroy homes and cause weekslong power outages. — Storm riders: Roughly 375,000 people in Florida warned to evacuate; many refused, including 285 people in Mexico Beach where Michael made landfall. — Rescued: 47 helped out of hard-hit areas along Florida's coastline, and 20 people in flooded neighborhoods in North Carolina. — Staying safe: nearly 6,700 people took refuge in 54 shelters in Florida. — Power outages: Roughly a million customers in Georgia, Florida, Alabama and South Carolina lost power. — Food and water: 2 million ready-to-eat meals, 1 million gallons (3.75 million liters) of water and 40,000 10-pound (4.5-kilogram) bags of ice ready for distribution in Florida. — The human cost: Falling trees have killed a man in Gadsden County, Florida; a man in Iredell County, North Carolina; and an 11-year-old girl in Seminole County, Georgia, was killed when a carport blew through the roof of her home. 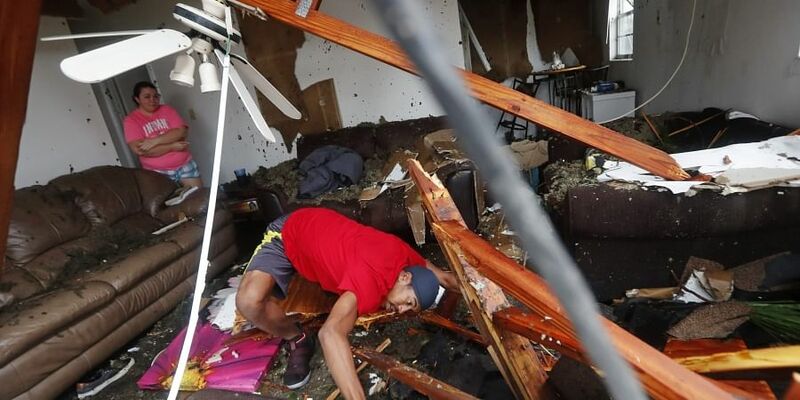 — Damage estimates: Boston-based Karen Clark & Company, an insurance company that produces models for catastrophes, is estimating Hurricane Michael caused about $8 billion in insured losses. It includes the privately insured wind and storm surge damage to residential, commercial and industrial properties and automobiles. The figure does not include losses covered by the National Flood Insurance Program. 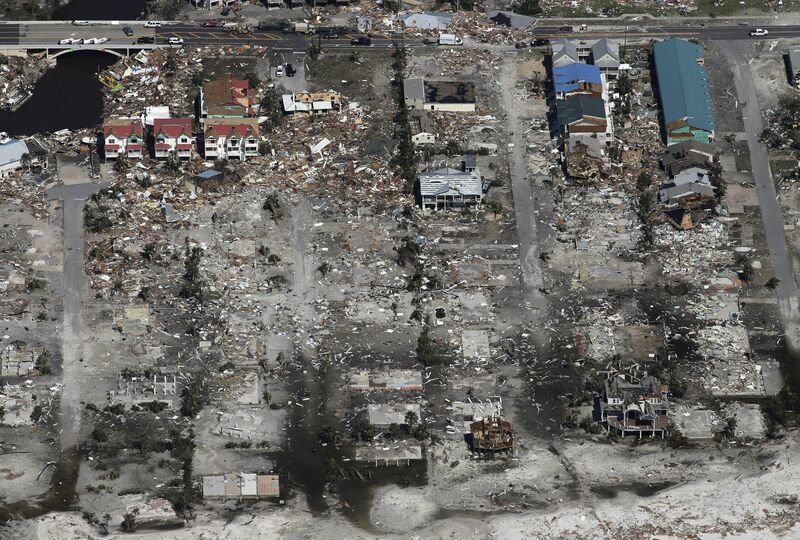 One of the hardest-hit spots in Florida is Mexico Beach , where Michael crashed ashore. In a beach town home about 1,000 people, entire blocks of homes have been reduced to nothing but concrete slabs in the sand or piles of splintered lumber. The largest hospitals in Panama City shut down and evacuated hundreds of patients due to heavy hurricane damage. Bay Medical Sacred Heart was moving about 200 patients from buildings with blown-out windows, a cracked exterior wall and a collapsed roof. State officials say Florida's largest psychiatric hospital has been "entirely cut off." Florida State Hospital in Chattahoochee has been running on emergency generators. A helicopter dropped water and food at the facility on Thursday after a tree downed during the storm caused a water line to break. 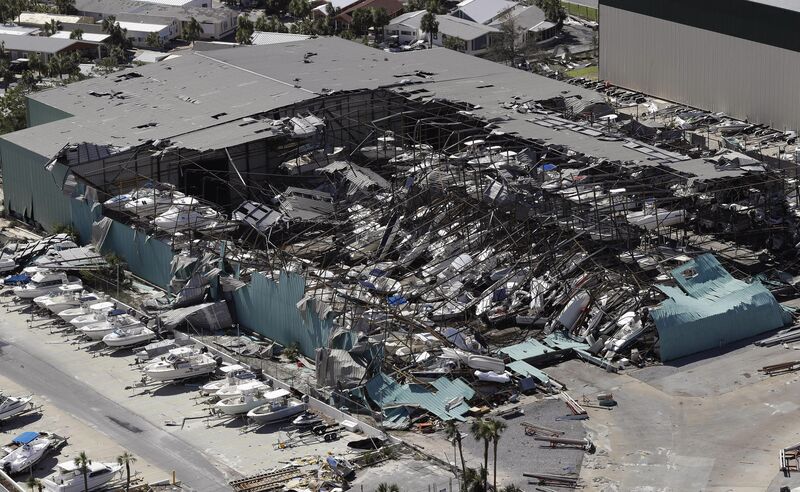 Tyndall Air Force Base in Florida is closed while officials assess what they're calling "widespread catastrophic damage." No injuries were reported, but there's roof damage to "nearly every home" on the base. A federal judge rejected a push by Democrats to extend Florida's voter registration deadline , which was Tuesday, by a week. Florida Secretary of State Ken Detzner told local election supervisors that if their offices were closed due to the hurricane, they could accept paper applications when their offices reopen. People in the crosshairs had to make last-minute preparations for the monstrous storm's arrival — and for how to cope in its aftermath. Michael isn't alone. The National Hurricane Center says Hurricane Leslie and Tropical Storm Nadine are no threat to land over the open Atlantic Ocean, but Tropical Storm Sergio in the Pacific is blowing toward Mexico's Baja California Peninsula.